In recent years the industry has witnessed the blending of the health care and spa industries with the emergence of the medical spa. And the model continues to evolve. The lines are blurring, say experts, bringing to light new opportunities and some unique considerations for stakeholders on both sides of the coin. 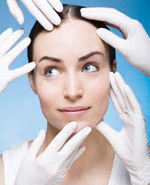 Medi spa treatments include dermatology; cosmetic injectables and dermal fillers such as Botox, Juvederm and Restylane, Perlane, and collagen, which help diminish fine lines and wrinkles, and plump the lips; laser spot removal and laser vein treatment; laser hair removal; photorejuvenaton (IPL); deep exfoliation treatments like microdermabrasion; chemical peels; and cellulite treatments. Recently, many Canadian medi spas have also added Latisse to their menus; approved in Canada in May of this year, Latisse is the first and only Health Canada-approved prescription treatment for eyelashes (it promises to grow them longer, fuller and darker). Glow Medi Spa offers non-surgical cosmetic enhancement and skin rejuvenation in a spa-like atmosphere, but with the regulations of a medical clinic as far as cleanliness, sterilization, etc., says Wong. “I definitely keep the atmosphere very spa-like, because clients prefer that type of approach. I know many physicians that have tried blending it with their medical practice, but it’s not ideal for their clients to come in and sit beside someone who has the flu,” she continues. 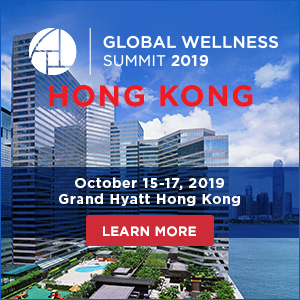 “It’s a very big part of the marketing of medi spas—we’re getting away from that typical medical environment and feel. Customer service is a priority. 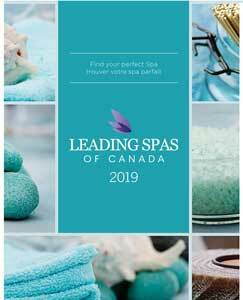 ” Increasingly, today’s medical spas are offering their services in a spa-like environment, agrees Oskin, adding that many have even begun to offer traditional spa services like body massage and wraps, facials and mani/pedis in addition to their medical services. “It’s been an interesting trend where dermatologic, cosmetic and plastic surgeons are entering the medical spa arena, hiring estheticians and offering day spa services within their practice so they can provide pre and post-operative skin care,” he says. Oskin suggests that even naturopaths are well-positioned to enter the fray, adding that there are natural synergies with the goals of this professional group and medical spas and wellness centres. Services could—and often do—include medical treatments including pain management, nutrition consultation, and sleep-health consultations, as well as traditional spa services. Strict guidelines for medical procedures exist in each province, says Wong. In Ontario the guidelines are looked after, endorsed and created by the College of Physicians of Ontario. One of the latter’s biggest mandates, she says, is that the physician should see the patient on at least the initial consultation; the procedures, particularly prescription drug treatments, must be designated to qualified personnel, such as a registered nurse. “Consumers have to be careful. The risks are huge; there are many potential safety concerns. It’s unfortunate. For instance, there may be a physician name on the clinic, so the consumer thinks there is a physician taking responsibility, when really, often times, it’s a physician by name only,” says Wong. She cites laser procedures (laser hair removal particularly) as an area with little regulation, and little understanding on the part of consumers. “The laser is a very powerful piece of equipment that can carry high risk—education of the personnel doing the treatment is crucial. We carry one of the highest grade machines in laser hair removal and we have qualified personnel, and some of the public balks at our price. They’re price shopping. And that’s dangerous. Lasers are now everywhere and the public doesn’t understand the difference. IPL and laser hair removal are widely available, but there can be a huge difference in the equipment,” she says. Both Oskin and Wong agree that the right staff and equipment are paramount to customer care, success and quality control within the medi spa realm. There are major differences in the quality of available machines, says Oskin, and many times, staff must be specifically trained and licensed to operate certain machines. 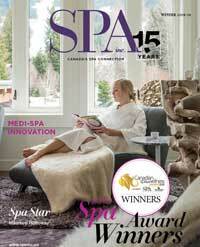 “Equipment is a huge investment to running a successful medi spa. It’s not something you enter into lightly,” he says. The other key area, he continues, is staffing and training. 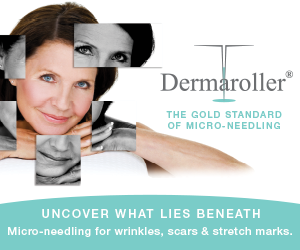 Board-certified plastic surgeons and dermatologists, licensed and certified professionals make all the difference.